Arturo “Chico” O’Farrill, who was born in Cuba in 1921, decided to follow family tradition and enter into law practice. But before he could complete his legal studies, he was seduced by jazz music and his law studies fell by the wayside. Mr. O’Farrill discovered big band jazz in military boarding school in Florida, where he first learned to play the trumpet. He then returned to Havana and began to study classical music under Félix Guerrero at the Havana Conservatory. At night he would play in local nightclubs alongside figures like Isidro Pérez and Armando Romeu. By 1948, Mr. O’Farrill relocated to New York City, where he continued his classical music studies under Stefan Wolpe, Bernard Wagenaar, and others at the Juilliard School. It was in NYC that he was truly able to pursue the jazz scene in his free time. Soon after moving to New York City, he began working as an arranger for Benny Goodman, and wrote “Undercurrent Blues”. During this period, he also worked as an arranger with Stan Kenton for whom he wrote “Cuban Episode”, He also worked with Count Basie and Art Farmer, and with Dizzy Gillespie, for whom he arranged the “Manteca Suite”. In 1957 he moved to Mexico and lived with his wife, singer Lupe Valero, until 1965; while there he wrote a suite for Art Farmer in 1959 and performed concerts in Mexico City. But his crowning glory remained the two Afro-Cuban Jazz Suites. The Afro-Cuban Jazz Suite is largely remembered as a Norman Granz commission. The reason for this is that the legendary Charlie Parker participated in the first Suite, completed and recorded in December, 1950. Moreover, even many of the musical arts cognoscenti will recall this first Suite as music performed by Machito. 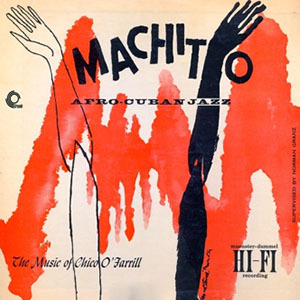 Most listeners forget that it was Chico O’Farrill who wrote, arranged and conducted the piece first for Machito and his Afro-Cuban Orchestra. 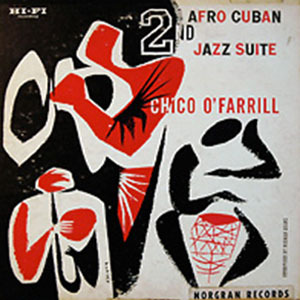 Then in 1952, Mr. O’Farrill arranged and conducted what he called The Second Afro-Cuban Jazz Suite, this time with the vastly expanded Chico O’Farrill Orchestra. Although Charles Mingus is reputed to have begun his extraordinary piece, “Half-Mast Inhibition”), a suite of sorts, in 1939 and completed it in 1941, it was not recorded until 1960, when Gunther Schuller conducted Mr. Mingus’ large ensemble which was first released as Pre-Bird, (Emarcy), and Duke Ellington had already written and recorded his expanded piece, “Creole Rhapsody” (if not structurally, then certainly conceptually), a suite in 1931 (Brunswick/Vocalion), Chico O’Farrill’s work was the first Afro-Cuban extended work to be fused with the Jazz and, indeed, the Classical idioms as well. Both of Mr. O’Farrill’s suites are watershed works, but his first suite is probably more celebrated because it was recorded with Charlie Parker sitting in with the two other alto saxophonists. The first Afro-Cuban Jazz Suite is celebrated for the presence of Bird, who sat in the alto saxophone section and blew his famous choruses four minutes into “Mambo”. It is vintage, breathtaking Charlie Parker, jostling with the rest of the orchestra like a medieval knight with his lance, his burnished alto saxophone. However, the Suite also provides a masterful account of the master’s writing for the silkiest of woodwind instruments. As a composer, Chico O’Farrill tended to the concise Classical model, but also crafted his majestic sections into dramatic, romantic parts that emphasised the lyrical as well as the vigorous. The highly articulated style of the Suite is accentuated by the addition of conveniently placed, slurred glissandos and numerous extra dynamic especially in the section entitled “Transition” which features the orchestra’s other star, the tenor saxophonist Flip Phillips, a rousing section, with heated exchanges with the great Charlie Parker. “Transition and Jazz” is made memorable for the blitzkrieg-like drum solo by Buddy Rich, who had been known for his accuracy of tempo as well as the fact that he was fleet of hands and feet. This section is memorable just for that. The Suite’s constant morphology returns it to a profoundly beautiful slower movement that features forlorn brass egged on by woodwinds as the piece is brought to its final dénouement. Track List: Introduction – Canción; Mambo; Transition; Introduction to 6/8; 6/8; Transition and Jazz; Rhumba Abierta – Part 1; Coda. Personnel: Mario Bauzá: trumpet and clarinet; Paquito Davilla: trumpet; Harry “Sweets” Edison: trumpet; Al Stewart: trumpet; Bobby Woodlen: trumpet; Unknown (clarinet); Gene Johnson: alto saxophone; Charlie Parker: alto saxophone; Fred Skerritt: alto saxophone; José Madera: tenor saxophone; Flip Phillips: tenor saxophone; Sol Rabinowitz: tenor saxophone; Leslie Johnakins: baritone saxophone; René Hernandez: piano; Roberto Rodriguez: bass; Buddy Rich: drums; José Mangual: bongó; Luis Miranda: congas; Chano Pozo: congas; Machito: maracas; Ubaldo Nieto: timbales; Chico O’Farrill: composer, arranger and conductor. This Second Suite is marked by distinctively darker colours right at the onset of the first movement. The five trumpets heed the clarion calling of the three trombones, while the bongos keep the pulse of the piece going. Even the woodwinds and reeds are subdued—even over-powered—by the brass. In terms of drama, the Second Suite is much like the first, but there is also an attempt, successful, I might add, to imply fecundity as well as substance. There is, of course, much more that delights here. Mr. O’Farrill’s Orchestra is entirely self-assured and features an unreservedly brilliant solo by Flip Phillips, who returns for this engagement as well. The ensemble, unique in collective insight, in tempo-management (which is more demanding here), articulation of melodic design and assessment of harmonic weight, unfolds the substance of the suite. The first movement (as stated) is dark and nowhere near con spirito. Phrases are slowed down and even dislocated and disturbing. Passionate fervour once again dominates the movement entitled “Jazz and Transition”. It is interesting also to note that the words are flipped from the similar movement in the first Suite. Suddenly strange intimations of threnody intrude the adroit zip of the piece bringing soft undertones to the fugal finale. Track List: Introduction –Pregón; 6/8; Jazz and Transition; Canción Antigua; Rumba Finale. Personnel: Mario Bauzá: trumpet; Doug Mettome: trumpet; Jimmy Nottingham: trumpet; Al Stewart: trumpet; Nick Travis: trumpet; Eddie Bert: trombone; Vern Friley: trombone; Fred Zito: trombone; Lenny Hambro: alto saxophone and reeds; Ben Harrod: alto saxophone and reeds; Flip Phillips: tenor saxophone and reeds; Eddie Wasserman: tenor saxophone and reeds; Danny Bank: baritone saxophone and reeds; George Berg: baritone saxophone and reeds; René Hernandez: piano; Roberto Rodriguez: bass; Don Lamond: drums; José Mangual: bongo; Candido Camero: congas; Luis Miranda: congas; Ubaldo Nieto: timbales; Chico O’Farrill: composer, arranger and conductor. 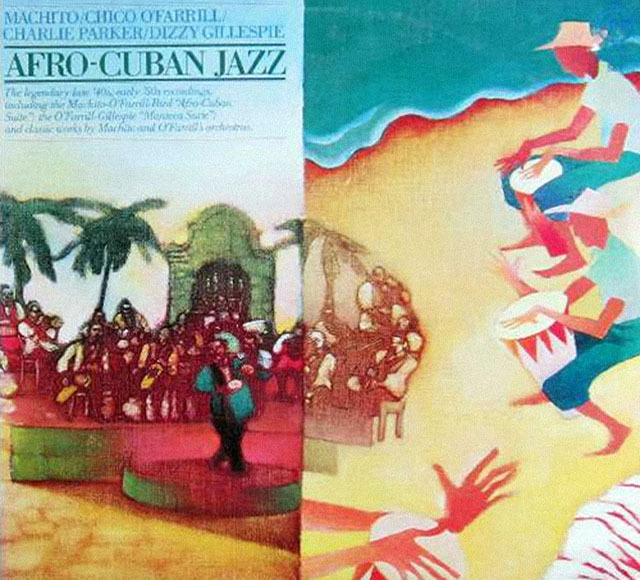 I think it was Chino Pozo not Chano Pozo who played congas on the first Afro-Cuban Jazz Suite. Chano Pozo was killed in 1948 and Discogs.com lists Chano’s cousin Chino as the conga player which would make more sense since Chano was no longer living in 1950 when the album was recorded.